A rather large jellyfish has been found washed up at Gyles Quay yesterday by a person out walking their dog. 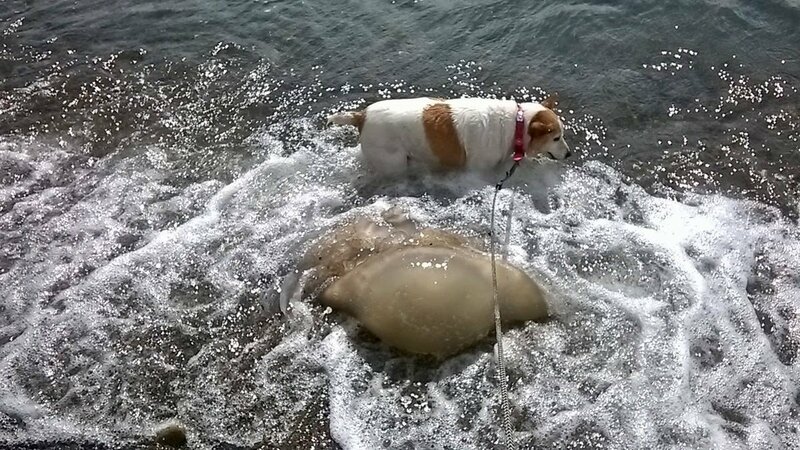 "When I took my dog for a swim yesterday at Gyles Quay, this big jellyfish washed up in front of me. I never saw one like this before, does anyone know if they are common to the Irish Sea?" It hasn't been confirmed what type of jellyfish it is yet, although some suggest it is a Barrel Jellyfish - but it's a whopper all the same! !